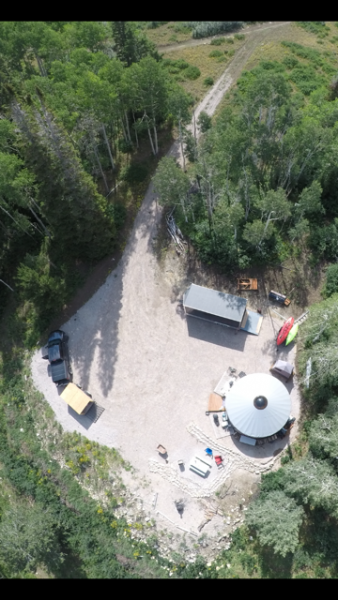 A friend took pics of the camp with his drone. Jafo, Marshall Eppley and YurterRT like this. Last edited by Jafo; 08-16-2017 at 07:47 AM. 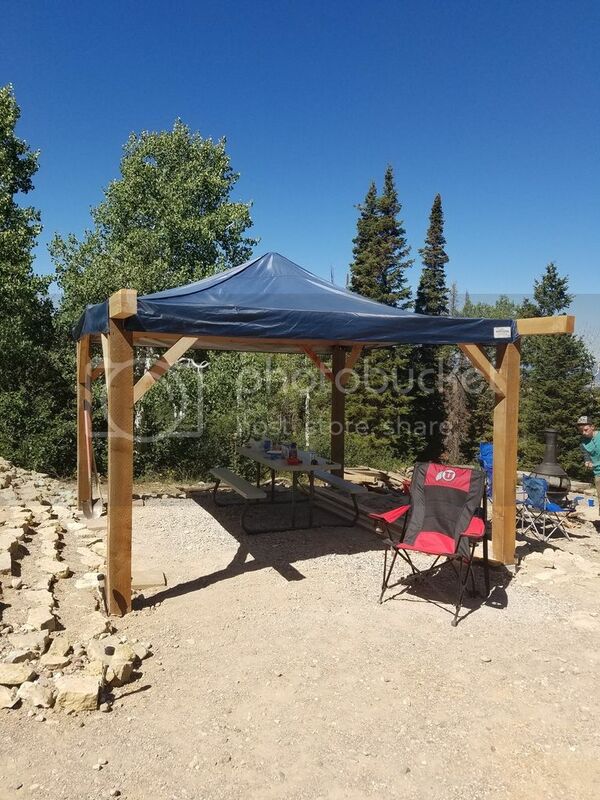 Hey Cindy, there is about 2-3 feet off elevation change from each section (yurt, table area and then the fire pit area) in that area of the clearing so those are actually stacked rock walls. So from the yurt to the fire pit the yurt sits about 5 feet higher. Started building a small pavilion this last weekend. Got the frame done and used a popup canopy roof fabric for the roof until I get time to actually finish a regular roof. Bob Rowlands and YurterRT like this. Good job. I just completed building a 3:4 scale Christmas Creche for our church using cedar 2x4 and 4x4, and 1x6 fence materials. Both stables are pegged. Not a nail in them, timber frame jinery. Came out incredibly nice.